You must be a member of the Vienna Changemakers Group to attend this activity. Would you like to join this group? 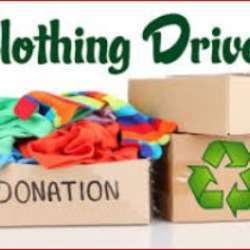 hi everyone, the year has begun and I would like to see you again and what better way than making a contribution of all those clothes that we no longer use. Later we could meet for a drink and talk about possible activities. When: Friday, February 1 at 5:00 p.m. I hope to see many of you!